The largest gathering of historic Jaguar racers in the U.S.
Jags everywhere at this weekend's Rolex Monterey Motorsports Reunion. Largest gathering of historic Jaguar racers in the U.S.
MAHWAH, N.J., August 15, 2011 - As part of a weekend-long celebration of its high performance past, present and future, Jaguar Cars will be the featured Marque at the upcoming Rolex Monterey Motorsports Reunion, one of the world's greatest heritage racing events, taking place Friday, August 19 to Sunday, August 21. 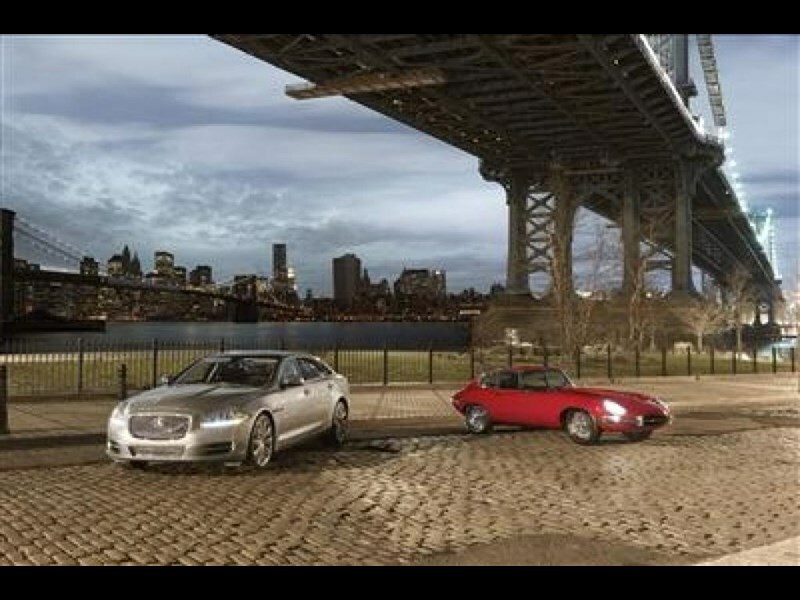 The Jaguar celebration at the Motorsports Reunion marks the high point of the North American celebration of the 50th Anniversary of the iconic Jaguar E-Type and the launch of the new 2012 model year Jaguar line up, including the 550-HP Jaguar XKR-S coupe. Held at the Mazda Raceway Laguna Seca, this year's Rolex Monterey Motorsports Reunion will feature more than 550 historic racing cars, fortified by many of the most famous and successful racing Jaguar cars of all time, on display on the legendary track. "For this weekend, the Rolex Monterey Motorsports Reunion will be the center of the universe for collectors of vintage race cars and high performance automotive enthusiasts," said David Pryor, Brand Vice President, Jaguar North America. "It will be a thrill to witness hundreds of amazing automobiles including some of the finest Jaguar vintage race cars in the world and the new super high-performance Jaguar XKR-S, tear up this track and fly down its infamous corkscrew." An event not to be missed during the Rolex Monterey Motorsports Reunion will be the Jaguar Invitation Class E-Type race on Saturday, August 20, at 1 p.m. In honor of the special nature of the occasion, the winner of the race will take home a one-of-a-kind trophy specially designed by Jaguar Cars Design Director Ian Callum. A highlight of the paddock for race fans will be the Jaguar Heritage Display featuring a treasure trove of racing icons from the 1930s through today. Included in the over 65 historic Jaguar race cars participating (either on track or on display) will be at least 7 Jaguar C-Type cars, 11 Jaguar D-Type cars and 3 XKSS cars. These cars accumulated 5 Le Mans victories as well as hundreds of additional wins across the globe and today their incomparable beauty and performance continue to delight race fans throughout the world. The Jaguar XK120 driven by America's first World Driving Champion, Phil Hill, to victory in the very first race on the Monterey Peninsula, the Pebble Beach Road Races which was run through the Del Monte forest on sections of the famous 17-Mile Drive. Also in attendance will be the Jaguar C-Type driven by Hill at Elkhart Lake, Wis., to win the 1952 Sheldon Cup, once again on an open road course, before the construction of Road America. This year also marks the 50th anniversary of Hill's Formula 1 championship. He began his long and illustrious racing career while working as an apprentice for Jaguar in the United Kingdom. Two highly successful Jaguar cars owned and raced by Briggs Cunningham, for whom the name "The American Sportsman" was coined will also be in attendance. Cunningham, after ceasing production of his eponymous sports cars, began campaigning Jaguar D-Type cars at Le Mans and in North America with great success, winning the 12 Hours of Sebring in a D-Type in 1955. Cunningham's 1962 E-Type coupe is perhaps one of the more unique Jaguar racers ever built. Commissioned by Cunningham and built at the Jaguar factory, the car had many of the lighter weight pieces developed for the famous "Lightweight E-Type" models, but retained many production parts, including the steel production body. Several cars from U.S. - based Group 44 Racing will be on hand as well. Bob Tullius will be at the event, along with the 1978 Trans-Am winning Jaguar XJS. Tullius won the Trans-Am drivers championship in 1977, but, because he was vastly outnumbered by the ubiquitous Porsche 911 racers, he missed the Manufacturer's Championship crown by 2 points. In 1978, with the help of an occasional appearance of the 1977 Jaguar XJS with Brian Fuerstenau driving, not only did Tullius repeat as Driver's Champion, but Jaguar took home the Manufacturer's Championship as well. Commissioned by Jaguar Cars in 1983, the Group 44 Jaguar XJR-5 was designed by American Lee Dykstra with a body penned by Randy Witeen and built in the Group 44 shops in Winchester, Va. "The American Jaguar" as the media sometimes called it, would go on to win 12 IMSA GTP races and took a factory supported Jaguar back to Le Mans for the first time since 1955. Also from Group 44 Racing will be the world's most famous racing E-Type, the V-12 Series III. The Group 44 team campaigned the car in the "B" Production class of the Sports Car Club of America (SCCA) National events. A Divisional champion in 1974, it went on to capture the SCCA's BP National Championship in 1975. It will be joined by its chief rival, the Huffaker Racing Series III V-12 E-Type, the first time the two cars have been seen side-by-side since the late 1970s. In 1988, Jaguar, with the help of Tom Walkinshaw's TWR Jaguar Sport team, scored its first win at Le Mans in 31 years. The V-12 powered XJR-9LM also broke the string of eight Le Mans victories in a row by Porsche. The actual Le Mans winner will be at the Rolex Monterey Motorsports Reunion. Also from the TWR era is an XJR-12LM, the racer that finished 1-2 at Le Mans in 1990 and won the 24 hours of Daytona that year as well. In addition, ride-and-drive opportunities of 12MY Jaguar vehicles are available on Friday and Saturday for spectators to see just how the DNA they have witnessed in the paddock and on the track, still exists today. "I believe that every Jaguar we build today has the same bloodlines, the same DNA, as the champions both on the track and in the paddock," added Pryor. "There are few automotive brands that possess the ability to understand and appreciate their history and actually use that foundation to build the cars of today, and more importantly, the cars of tomorrow." 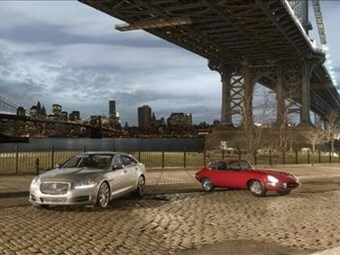 Jaguar's 2012 XF, XK and XJ models, including the all-new XKR-S will be available for consumer test drives at two locations throughout the weekend: The Quail: A Motorsports Gathering, and on Peter Hay Hill at The Lodge on Pebble Beach. For updated news from Jaguar Cars during the entire week leading up to and throughout the Monterey Automotive weekend, log onto www.interactivejaguar.com where there will be blogs, photos and videos posted throughout the week.